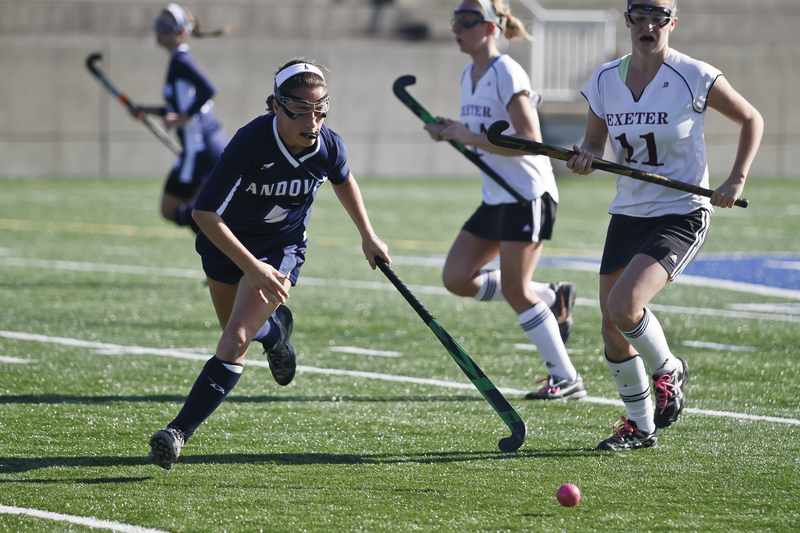 Over the past 6 years, a lot has happened in the Andover/Exeter rivalry. Take a look back at some moments from the past! 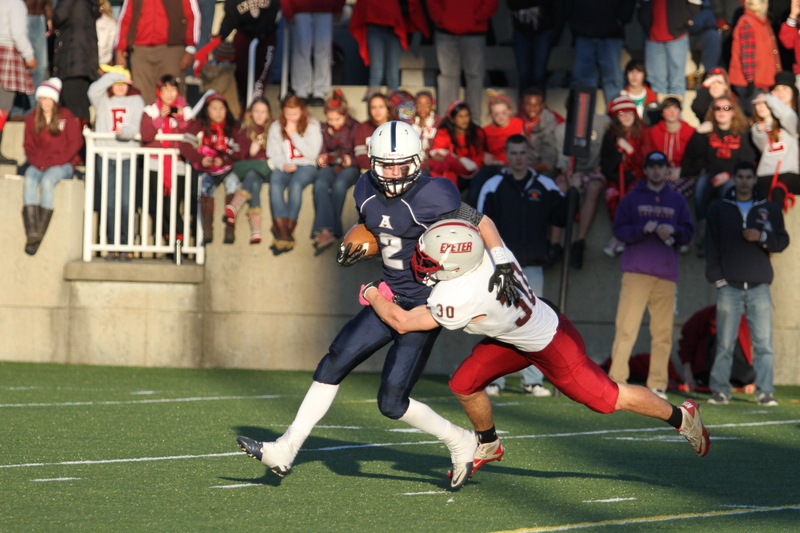 Lawrence Kemp '12 gets wrapped up by a defender. Andover lost to Exeter, 9-35. 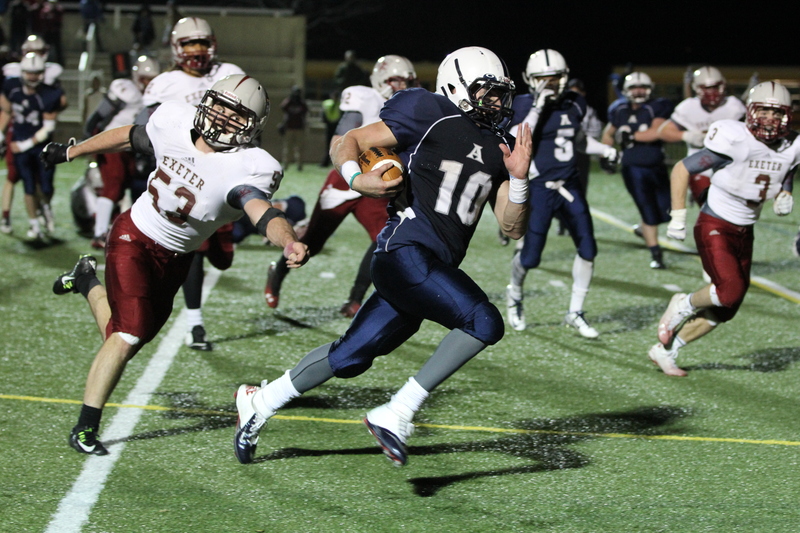 Mike Panepinto '15 had his way with Exeter's defense, amassing 187 yards on 25 carries in a 13-12 victory over Exeter. Dylan Mott '15 celebrates after scoring the only goal of Boys Soccer's A/E victory. He would later go on to break the all time record of goals scored. 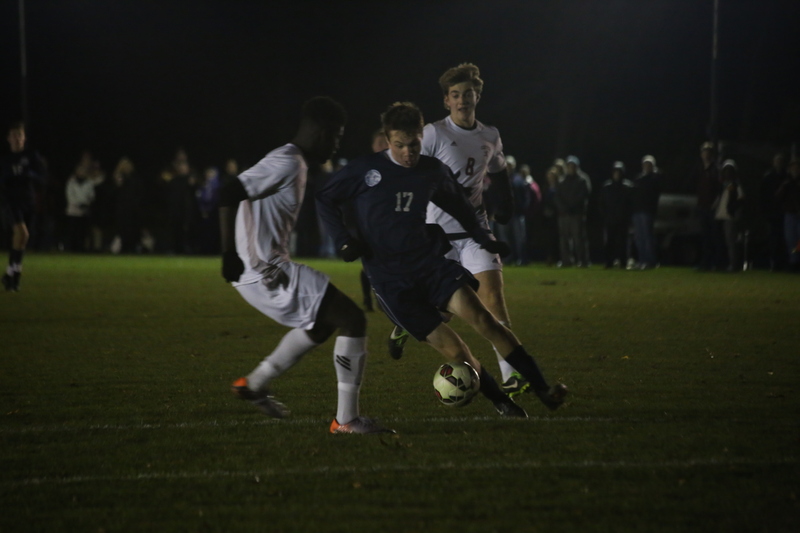 Nicolas Swenson ’15 capped off his illustrious Andover career with a well-rounded performance, as Boys Soccer tied Exeter 1-1. 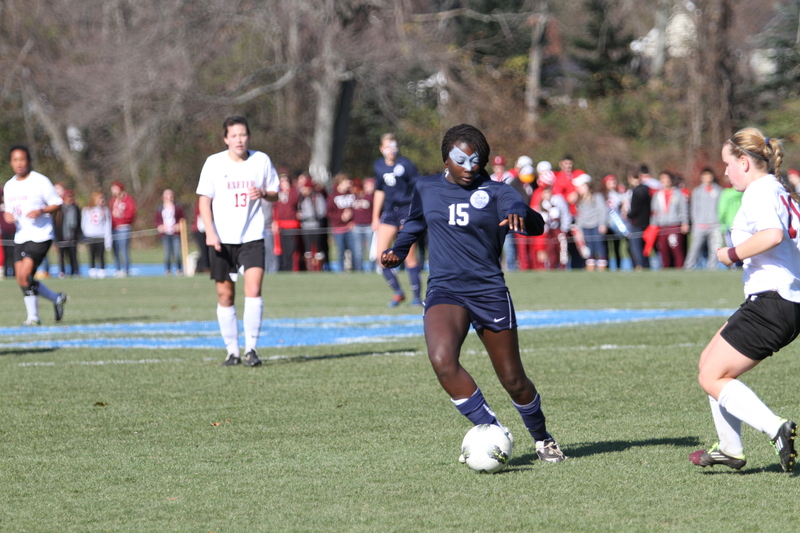 Her face painted blue for the matchup, Angela Batuure ’13 dribbles the ball down the field. They would go on to tie the match 1-1. 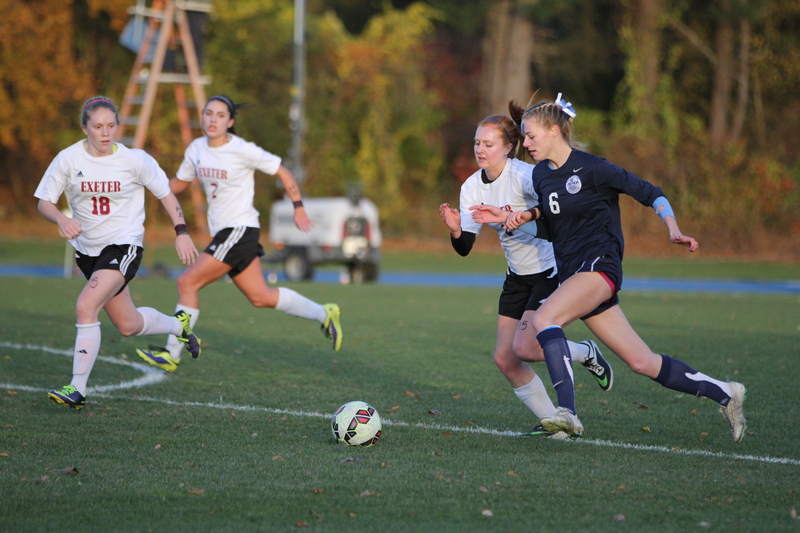 Alana Humes '15 moves past defenders in a 3-1 win over Exeter. Evagelia Toffoloni ’15 manuevers past defenders. They would go on to tie the game, 2-2. 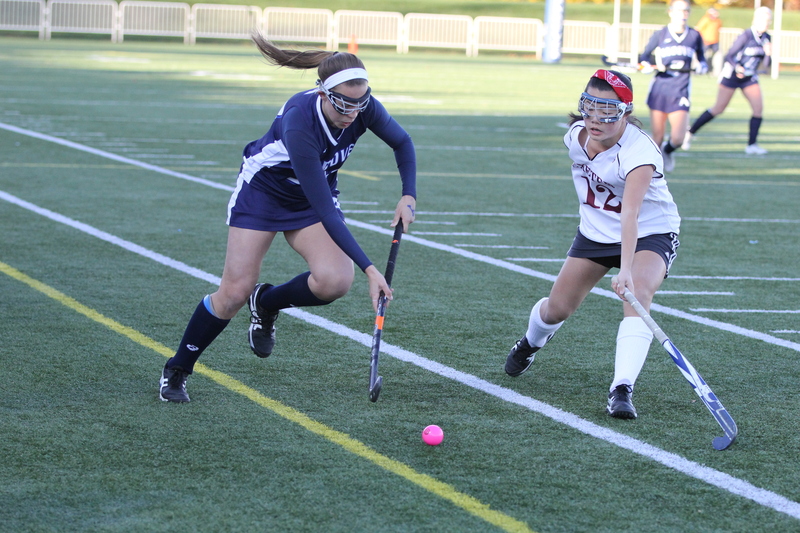 Katerina Toffoloni ’15 pokes the ball into the goal as Andover defeated Exeter 4-1. 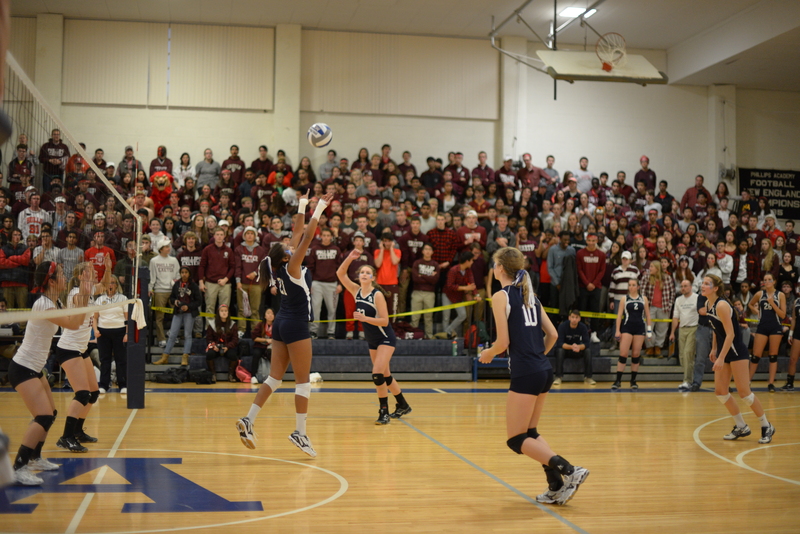 Lucia McGloin ’13 prepares to spike the ball over the net in Andover’s clean sweep of Exeter. 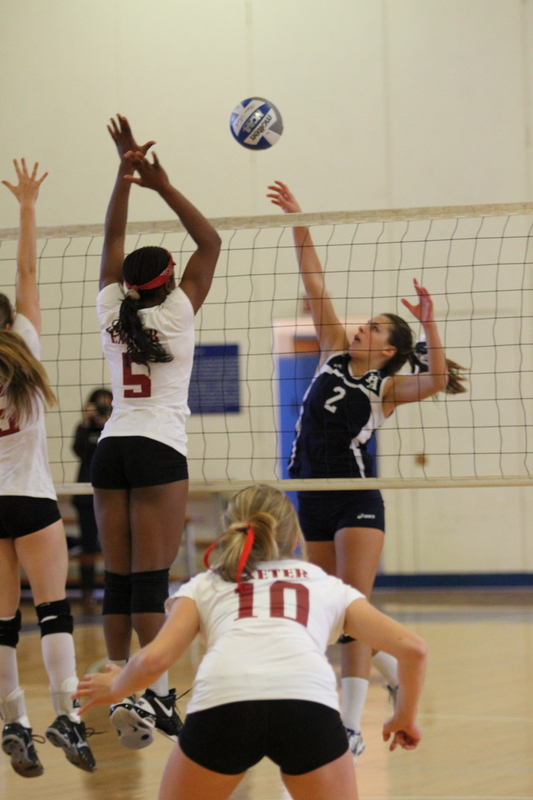 A player sets a the volleyball for a spike. This game would go a full five matches, with Exeter winning. 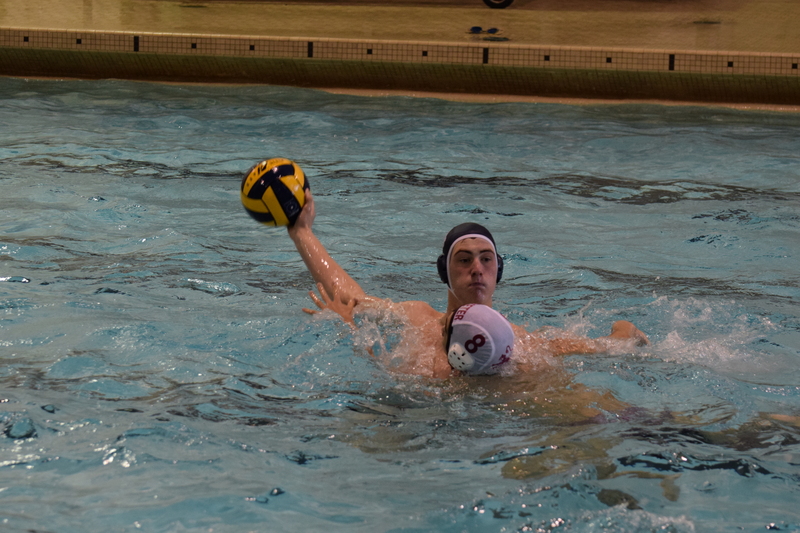 Scott Simpson ’14 defends an Exeter attacker in the 13-8 loss. 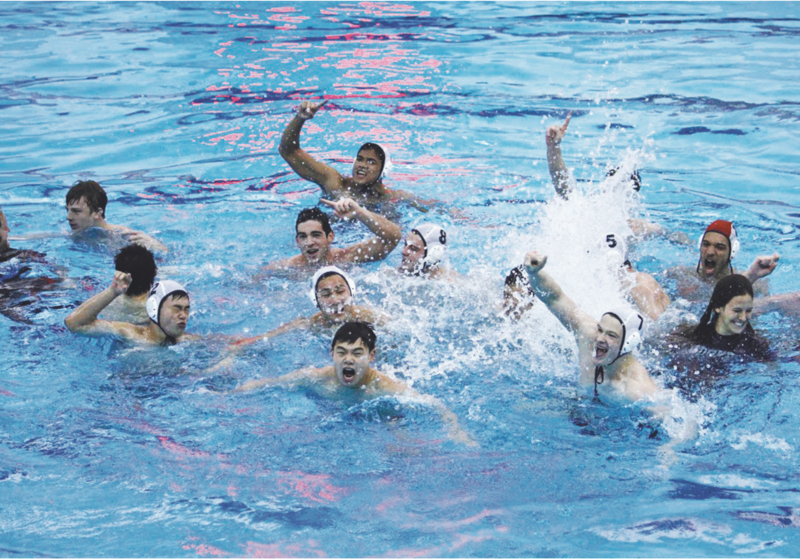 Boys Water Polo celebrates its first Championship in its 20 year history after defeating Exeter, the defending champions, 6-5. 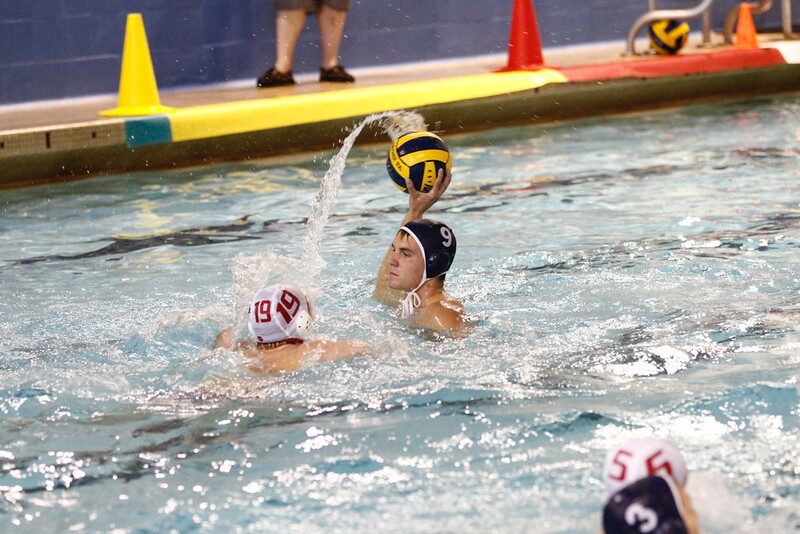 Nick Faulkner '16 moves the ball away from a defender. They would go on to lose the game 7-5. 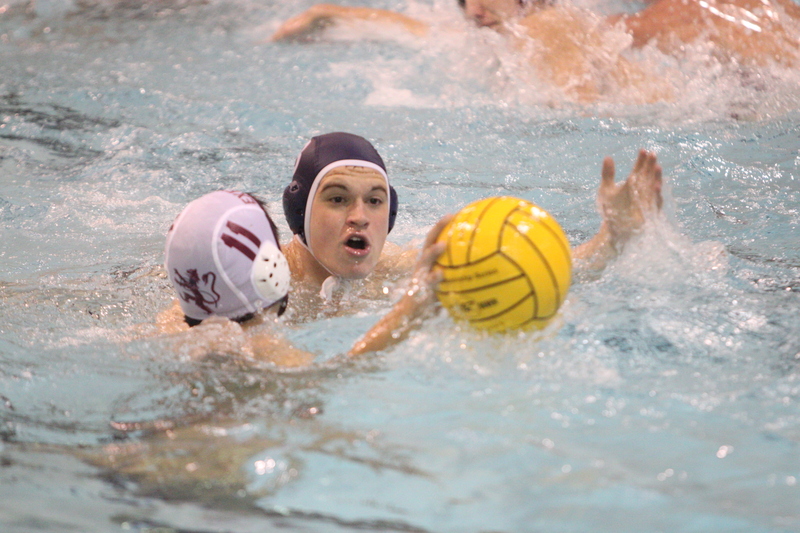 Nick Isenhower '18 fakes a shot in a 10-5 loss to Exeter. 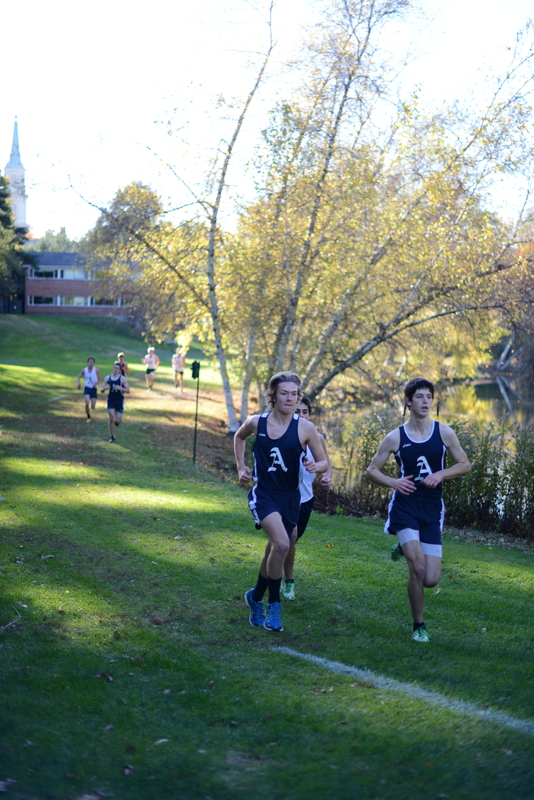 Holden Ringer ’17 (left) and Max Lee ’15 (right) sprint towards the Sanctuary. 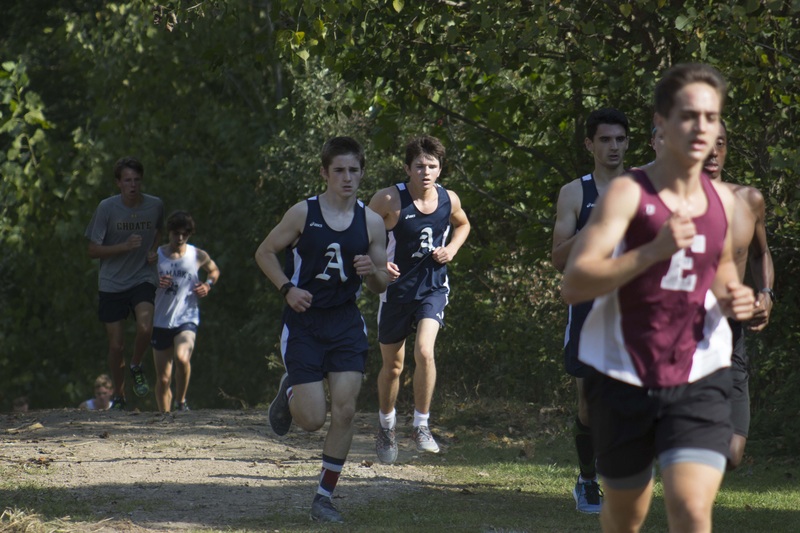 Jack O'Neil '19, Winston Lane '20, and David Cohen '18 run in a pack up a hill. 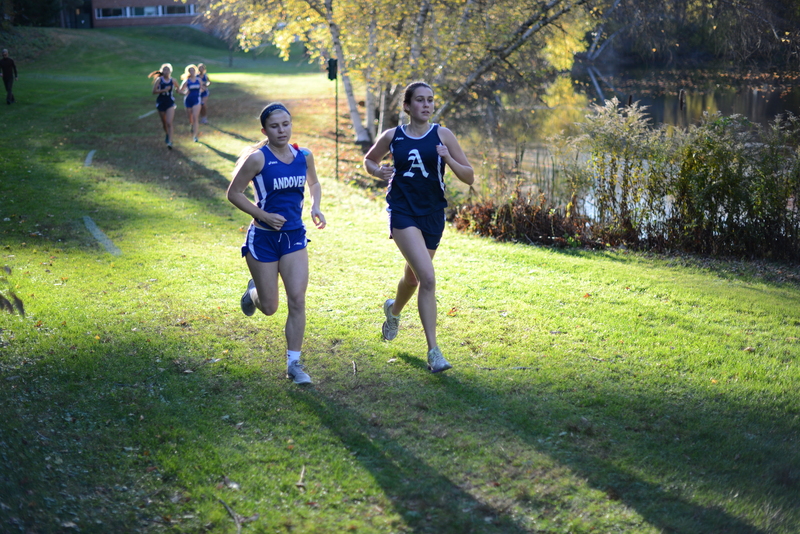 Two Andover runners sprint the last few hundred meters of Andover's cross country course. 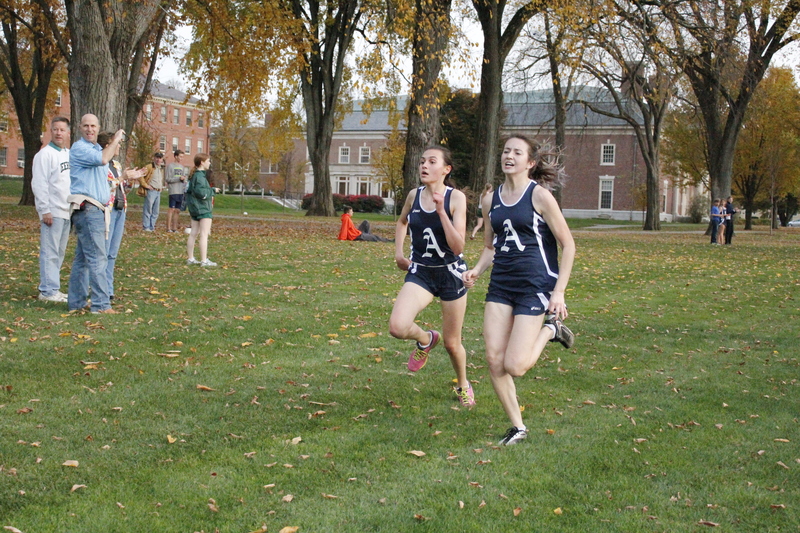 Andover cross country runners utilize pack running to motivate each other.